9 YRS Shenzhen Xuezhiyou Technology Co., Ltd.
11 YRS Shenzhen Eagle Creation Toys Co., Ltd. Cute Baby Learning Mathematics Toy 52 PCS Magnetic Arabic Letter Item NO. 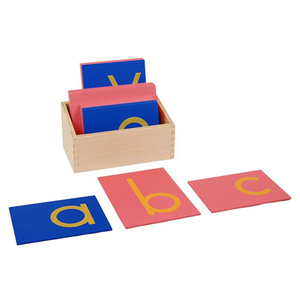 Packaging & Shipping Cute Baby Learning Mathematics Toy 52 PCS Magnetic Arabic Letter Packaging: 1 set /Color Box: 96 sets / cartons. Our advantage is offer excellent quality with reasonal and competitive price,fast but economic shipping cost to help our clients creat more value. 6 YRS Guangzhou Eletree Electronic Company Ltd.
5 YRS Xiair International Trade (Dalian) Co., Ltd.
Wholesale baby educational muslim islamic toys muslim toys arabic alphabet educational toys Specifications: 1.Phonetic with LCD touch screen 2.Quran playing and multi-games 3.Arabic and English learning 4.26 English letters, 28 Arabic letters Features: It is phonetic ,by pointing it ,it has sound , then the children can Learn how to worship and reading prayers , 10 prayers , 7 basic sections about Quran, 2 classic songs , learn 28 Arabic letters , 28 Arabic words , play games , like find where the Arabic letter is ,where the Arabic word is, Arabic follow reading, learn 26 English letters , 26 English words other products Packaging & Shipping Packaging Details: QTY/CTN: 36pcs Carton size: 64.5*47.5*48cm N. W: 11.8 kg G. W: 13.5 kg Delivery Detail: 5-7 days 1. Delivery time: 5-7 days 2. If you have any questions about the quran learning toys educational E-BOOK, please cantact the supplier . 14 YRS Ningbo Tooky Toy Co., Ltd.
4 YRS Guangzhou Sunny Toys Co., Ltd.
5 YRS Shanghai Zhizhi Import And Export Co., Ltd.
16 YRS Jinming Toys & Crafts Imp.& Exp. Co., Ltd.
2 Colors Musical Toy Electric Plastic Baby Arabic Mobile Phone Toy! AL014219 Item Name 2 Colors Musical Toy Electric Plastic Baby Arabic Mobile Phone Toy! &diams; Basing on years experience, it is stilled for us to handle OEM order. 7)Welcome select various models assorted in a container. Welcome select various models assorted in a container. Any other toys you can't find here9 Pls show it to us! 3 YRS Dalian West Shore Technology Co., Ltd.
9 YRS Yiwu Xinyue Trade Co., Ltd.
4 YRS Ruian Leleyu Baby Products Co., Ltd.
14 YRS Earnest Creation Co.
4 YRS Guangzhou Pangea International Trade Co., Ltd.
7 YRS Shenzhen XYX Industry Co., Ltd. The pen equipped with different books for teaching kids character,words, sentence and so on. It arouse the learning enthusiasm of kids' strongly by bring them to a magic sounding world. The pen equipped with story books for telling kids stories. 6 YRS Recase International Trading (Dalian) Co., Ltd.
13 YRS Shantou Yeswill Toys Co., Ltd.
2 YRS Nangong Tengxiang Felt Co., Ltd.
11 YRS Guangzhou Combuy Toys Co., Ltd.
3 YRS Zhejiang Kangle Cultural Development Co., Ltd.
3. Q: What is the warranty for your wall-chart 9 A: For our chart , we have 1 year warranty. If any quality problems on our side occurred in this period, we will take on the shipping cost and replacement. 5. Q: What's the payment item your company accept9 A: T/T, West Union, L/C are available for us. 12 YRS Shantou Yuantu Plastic Industry Co., Ltd.
11 YRS Shantou Chenghai Sam Toys Industrial Co., Ltd.
16 YRS Shantou Chenghai Pengcheng Toy Ind. Co., Ltd.
2 YRS Nanjing Seeking Culture Appliance Co., Ltd.
3 YRS Shenzhen Lesong Industrial Co., Ltd.
5 YRS Shenzhen HXS Electronics Co., Ltd.
Apart from supply standard products, we offer OEM service to customer with custom voice and melody chips to match specific products. every step of production is strictly inspected by our QC department before shipping. Q4 What's our goal9 O ur goal is to build the perfect industry chain and provide you the best quality and service. 7 YRS Wing Shing Zheng Plastic Manufactory (Shenzhen) Co., Ltd.
8 YRS Shenzhen Smart Education Technology Ltd.
Talking pen encourages kids to practice the language and build their confidence. it's the perfect combination of electronic and education. To ensure the product quality, our company has established a strong QC system. 1 YRS Wenzhou Congbei Baby Products Co., Ltd.
1 YRS Guangzhou Bo Yuan Culture Products Co., Ltd.
2. Smooth Communication : Well-trained and experienced staffs to answer all your inquires. 3. OEM Accepted : We can customize your products to meet all your different requests. If you have any interest in our products or your own special requirements, just let us know. 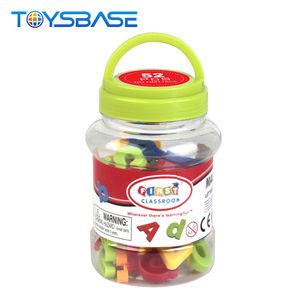 Alibaba.com offers 353 arabic baby toys products. About 32% of these are other toys & hobbies, 25% are learning machine, and 12% are dolls. A wide variety of arabic baby toys options are available to you, such as free samples, paid samples. 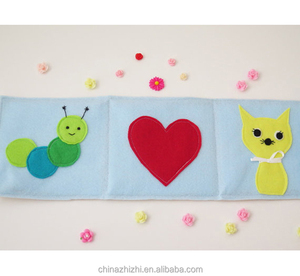 There are 353 arabic baby toys suppliers, mainly located in Asia. The top supplying country is China (Mainland), which supply 100% of arabic baby toys respectively. Arabic baby toys products are most popular in North America, South America, and Western Europe. You can ensure product safety by selecting from certified suppliers, including 40 with Other, 40 with ISO9001, and 4 with FSC certification.